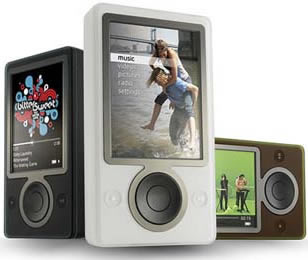 Ozymandias, a Xbox team member, published his latest thoughts on the rough edges of Zune especially with the new Vista. You can read it here. Saw this on Popgadget, the newest USB Hub from Lacie, who is famous with their designs with computer peripherals. The Lego Brick and the Porsche design disk drives are just a few cool ones. 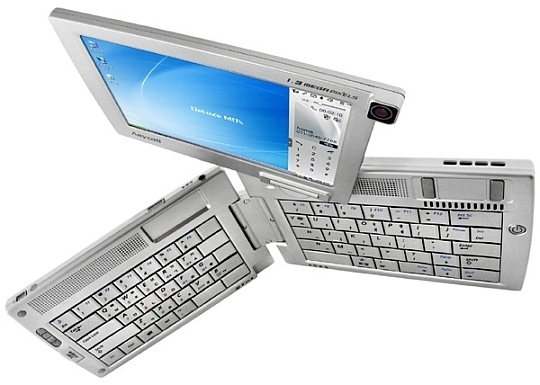 According to Popgadget, “This one is a good example of how a geeky, boring device can be turned into something cool and desirable. All it required was computer storage firm LaCie and French designer Ora Ito to join hands to redefine the design of the ubiquitous USB hub. The octopus-like LaCie USB & FireWire Hub will surely make heads turn when it’s released in early 2007. 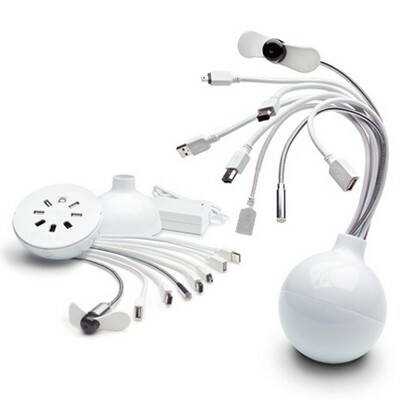 Done up completely in pristine white, it sprouts eight flexible cables – 4 USB 2.0 cables, 2 FireWire 400 cables, a USB light and a USB fan. The hub features eight glowing LEDs that light up in different colors to show which connection is currently active. After 3 days, my ISP (netvigator) finally managed to get my line back up. Have to say the past 3 days have been the most grueling 3 days, now just hope the line stays on. I am depressed, very much so. Didn’t realize how much my life revolves around the internet until last night. No MMORPG online games for me, cannot download any new songs for my new player, cannot access my fantasy football league, no YouTube, cannot read nor write blogs (apart from the local ones, can’t access mine, LOL) and cannot get on Xbox live 360. The feeling is like having a major withdrawal and I’m going into detox atm. Maybe it means some quality time at Wanchai for the rest of the week. Thank God internet’s at least accessible to some sites at work this morning though slow as a snail. Experts are warning that severe disruptions to the regional telecommunications network may persist for days, if not longer. Yesterday, internet services slowed to a crawl, and some IDD communications in Hong Kong were affected, after an earthquake in Taiwan on Tuesday night severed undersea cables, crippling the network. Financial transactions were also hindered, especially in the currency market. Former US president, Gerald Ford, has died, aged 93. Mr Ford had battled pneumonia in January and underwent two heart treatments, including an angioplasty, in August. He was the longest living president, followed by Ronald Reagan, who also died at 93. Ford had been living at his desert home in Rancho Mirage, California. According to Reuters, An Iraqi appeals court on Tuesday upheld Saddam Hussein’s death sentence for crimes against humanity and said he should hang within 30 days. “The appeal court has approved the death sentence. They (the government) have the right to choose the date starting from tomorrow up to 30 days. After 30 days it will be an obligation to implement the sentence,” the head of the Iraqi High Tribunal, Aref Abdul-Razzaq al-Shahin, told a news conference. Guess what others have to say…..
Human rights groups condemned his trial as seriously flawed and called on the government not to carry out the sentence, which comes amid raging violence between Saddam’s fellow Sunni Arabs and majority Shi’ites. The White House called the court’s decision a “milestone” in replacing tyranny with rule of law. Sunni Arab leaders reacted angrily to the ruling, saying it was politically motivated by Saddam’s former enemies now in power in a U.S.-backed Shi’ite-led national unity government. I say, it’s about time. For details report, click here. 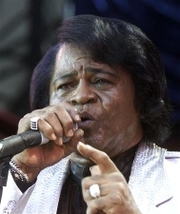 Singer James Brown, the self-proclaimed “Godfather of Soul,” who billed himself as the hardest working man in show business, died on Monday at age 73, his agent said. Brown died at 1:45 a.m. at Emory Crawford Long Hospital in Atlanta after being admitted there over the weekend for treatment of severe pneumonia, his agent, Frank Copsidas, said. Just got mine before Christmas for HK$2,280 (US$292), been playing with it for 3 days, loving it. This machine is so sweet I’m shelving my iPod Nano for a while. 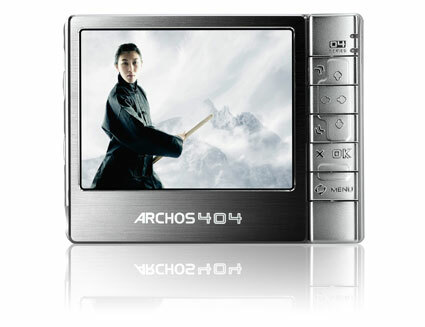 It featues a 3.5″ screen, with vivid colours. For detail spec, click here for Archos’ website and here for cNet’s review. I agreed that the major drawback is not being able to charge this on the road, apart from using the plane charger, will test it out on my next trip. Apart from the movies I convert directly with the optional DVR station (HK$680, US$87) which is a very smooth ride, I also downloaded my MP3s and Podcast from iTunes to this player and the results were very nice, it actually sounded better than my iPod Nano. Took some screenshots off, the album art turns out very nice. Overall, a very good buy indeed. Judy @ Gear Diary posted some nice pics on the first look of the Sansung SPH-9000 UMOC featuring a 5″ screen and full size keyboard, link is here. Also a great video review from Vincent @ SlashGear. This thing cost less than US$2,000. Anyone seen this? this is hilarious, great for Christmas. A must watch, definitiely the best YouTube vid of the year. With the launch of Microsoft Vista coming soon, that means the new version of Microsoft Office will be launching soon too. For someone like me who have 4 computers at home, obtaining a legitimate licence for each of them could be pretty hefty. Hanna-Barbera entertained generations of children, filling movie and TV screens with such animated series as “Tom and Jerry,” “The Flintstones,” “Yogi Bear,” “Huckleberry Hound and Friends,” “Top Cat,” “Scooby-Doo,” “Johnny Quest,” “The Jetsons” and “Animal Follies.” Barbera died Monday of natural causes at his home with his wife Sheila at his side, Warner Bros. spokesman Gary Miereanu said. He was 95. His longtime collaborator, Hanna, died in 2001. Went to the party Friday night at M1NT, the new shareholder’s club in Hong Kong. My buddy Roger was sponsoring the event with his line of watches. Finally get to see the new club. 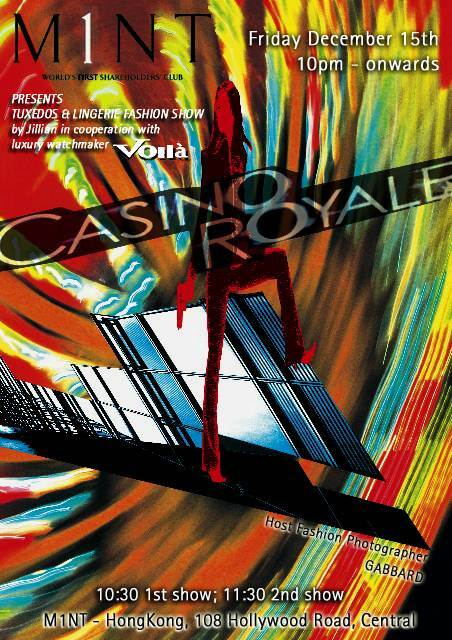 Pretty exotic place and got my membership that night. Will have a full review out on the place later as I had far too many “happy” drinks that night. So far what I like: the decor, the staff (esp. Ms. Shirley Leung, the Membership Relations Manager, call her up to find out membership info @Tel:2980 3535) and the location (in fact, it’s great for a place away from the LFK crowd).